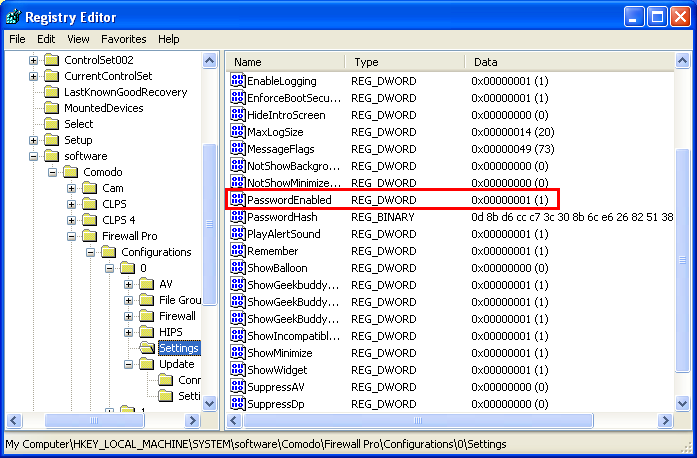 This page explains how to remove password protection/reset password just in case you forgot the password you had set for COMODO Internet Security. Note: It is not possible to 'retrieve' a forgotten password - you can only reset it. 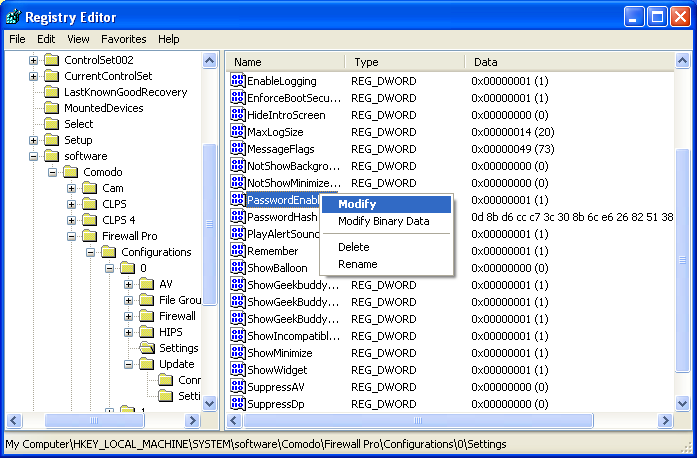 To do this involves modification of the Windows registry and is only recommended for experienced users. Under the Configurations folder you will see sub-folders named 0,1,2,... depending on the number of preset configurations in CIS. 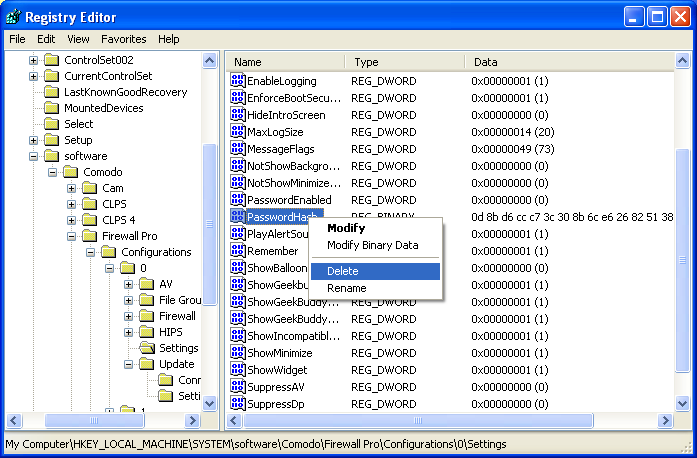 These folders contain registry keys for the settings of the preset configurations in the order of the configurations displayed in Advanced Settings > General Settings > Configuration interface. 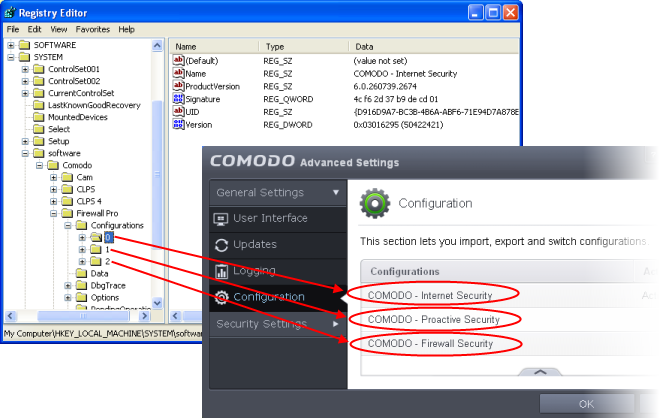 For example, the folder 0 contains the keys for COMODO - Internet Security, the folder 1 contains the keys for COMODO - Proactive Security and so on. Select the folder corresponding to the configuration for which you wish to reset the password and navigate to Settings, for example, navigate to HKEY_LOCAL_MACHINE\SYSTEM\Software\Comodo\FirewallPro\Configurations\0\Settings to reset password in COMODO - Internet Security configuration. 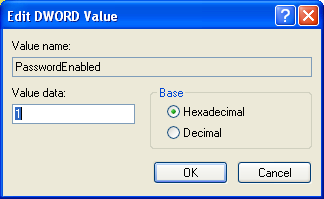 Right-click 'PasswordHash' and select 'Delete'. Now you should be able to access all settings, uninstall CIS and set a new password. 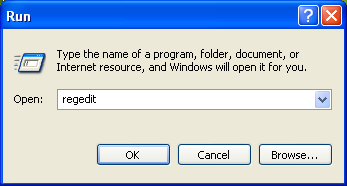 Note: If CIS doesn't allow regedit to change those registry items, try to boot in safe mode and repeat the above steps.